Check your gauge. This is very important, no one likes doing it and it feels like a waste of time but you’re project will look weird if your gauge is off, and that’s a huge waste if time. This pattern is done in a moss stitch so it uses more yarn than a regular knit stitch. 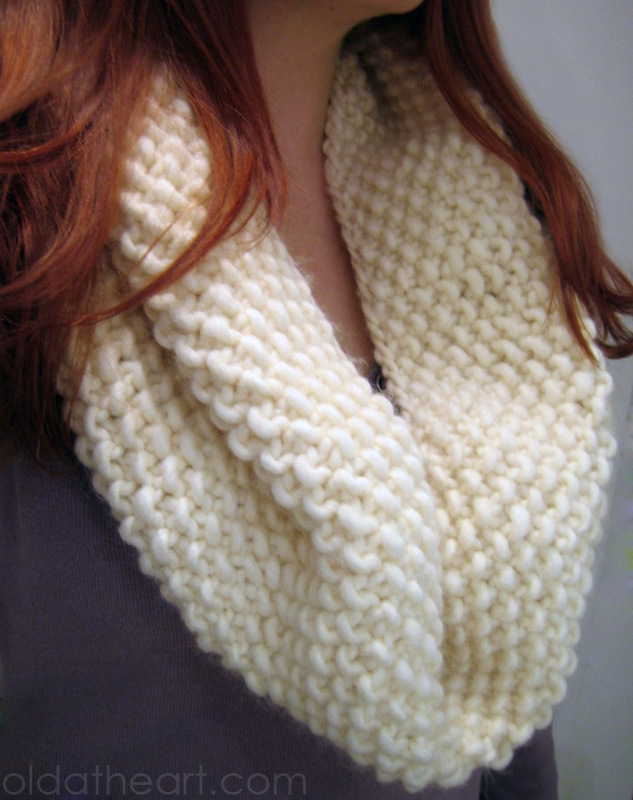 The moss stitch is perfect for this because it’s double sided and very cozy in a bulky yarn. Gauge is 9 stitches and 18 rows to a 4”x4” square. Cast on 91 stitches. 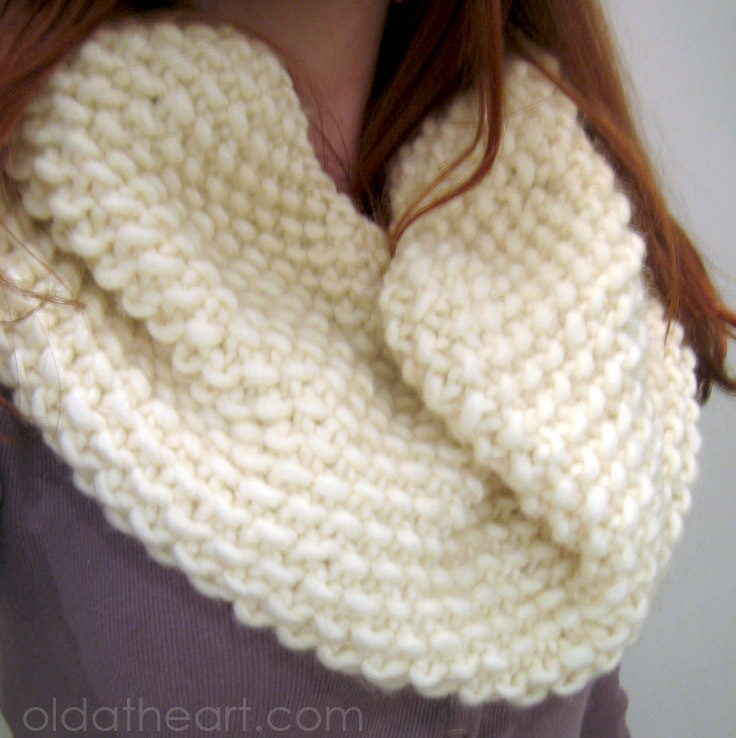 If you’d like a smaller cowl you can cast on 71 or 81 stitches. I’ve casted on using the long tail cast on method. Continue until the cowl is the desired width, this one is 42 rows. Leave a tail 60” long for casting off. Cast on 91 stitches using circular needles. Put a stitch marker every 10 stitches so you can count them easily. It’s very important to have the right amount of stitched because when knitting a moss stitch in the round you need to have an uneven number of stitches so the pattern is continuous. Once you’ve casted on the stitches check that they are not twisted before you join the circle together. 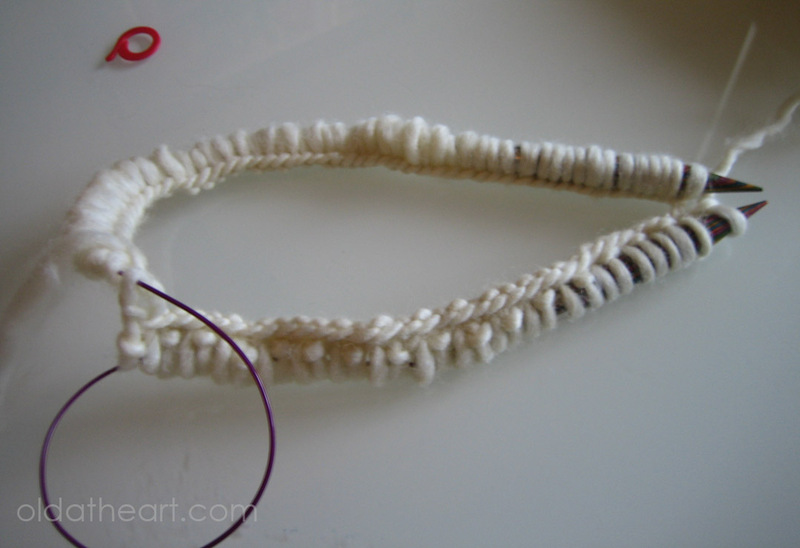 Place a stitch marker before knit the first stitch. This will tell you where the “row” ends. 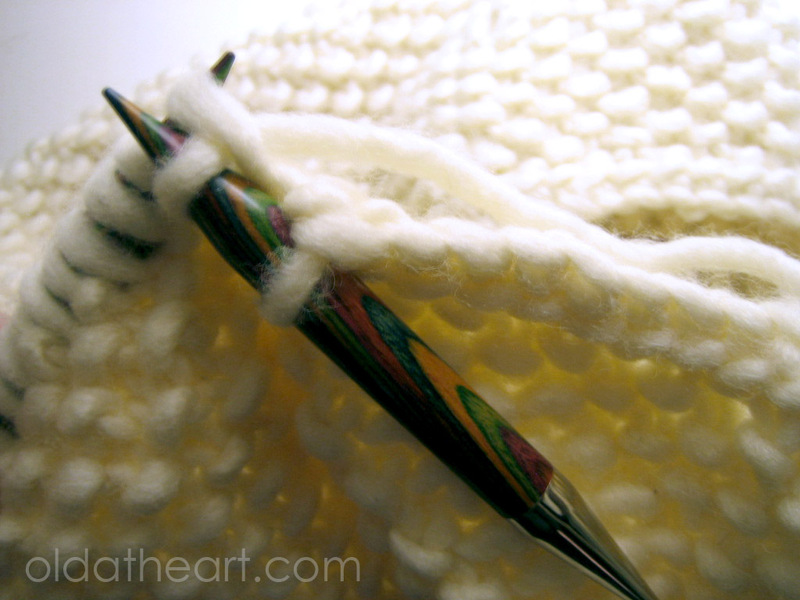 The last stitch you casted on should be in the needle in your left hand and the first stitch you casted on should be on the needle in your right hard. Knit the first stitch you casted on with the yarn from the left needle (make sure you’re not knitting with the tail from your cast on). You should now have a circle. 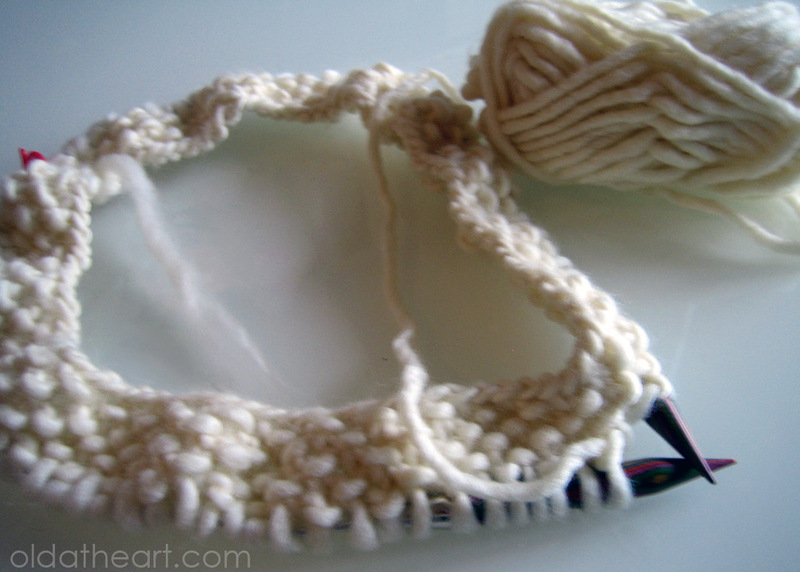 Now work the moss stitch which is just alternating between the knit stitch and the purl stitch. It’s going to look way smaller than your finished product. It’s going to look like there is no way this will even fit over your head. Don’t worry, it will work it’s self out. Start knitting around in the moss stitch. It’s still going to look small. Don’t worry, it’s not. Once you’ve knitted it to your desired width, or you’ve run out of yarn you can cast off. Make sure you’ve left a tail about 60″ long for your cast off. Weave in all your loose ends where you added a new ball of yarn and you’re all done! Perfect. I was looking for something just like this to make for my son’s teacher.